With many local school districts seeing an increase in the number of students and families seeking mental health services, Jefferson-Lewis BOCES, St. Lawrence-Lewis BOCES and the Ft. Drum Regional Health Planning Organization partnered together to hold the first ever Mental Health Symposium on July 24 and 25 in Alexandria Bay, NY. 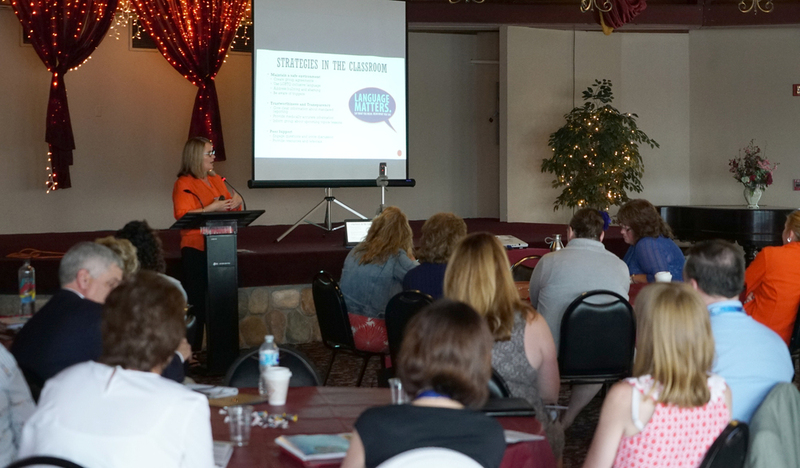 The catalyst behind the symposium was to connect districts with some of the services and organizations that are available in their communities and begin a regional dialogue surrounding the mental health crisis affecting students throughout the tri-county region. Attending were district leaders, administrators, teachers, school counselors, school health service providers and behavior health providers and agencies. The two-day event began with keynote speaker Jennifer Nadler, who gave a very informative and emotional presentation documenting her experience in dealing with the sexual abuse she encountered as a teen by a family member. Other sessions held during the symposium included presentations on substance abuse, suicide, depression, and childhood trauma among others. Presenters included Credo Community Center, Transitional Living Services of Northern New York, the Northern Regional Center for Independent Living (NRCIL), the Jefferson County Suicide Prevention Coalition and St. Lawrence County Chemical Dependency Services. The 2018 Mental Health Symposium concluded with a panel discussion on school safety, led by Roger Parrino from the NYS Division of Homeland Security and Emergency Services. The panel discussed different initiatives and strategies in handling emergency situations within an education setting. "Complex challenges call for complex solutions, and this two-day symposium is a wonderful example of many community partners coming together to examine a critical series of complex issues and work together to find solutions,” says Stephen J. Todd, Jefferson-Lewis BOCES District Superintendent. “None of us can solve these challenges alone, but when our many agencies work together, we realize a synergy that multiplies our effectiveness. The conversations we began at the symposium will continue in the weeks, months, and years to come, and we will all be stronger and more effective in our work as a result." More information on the 2019 Mental Health Symposium will be forthcoming in the months ahead at http://www.boces.com/mhs. You can also follow us on Facebook and Twitter for information on the symposium and other events involving Jefferson-Lewis BOCES.